Wherever you go your electricity can follow. 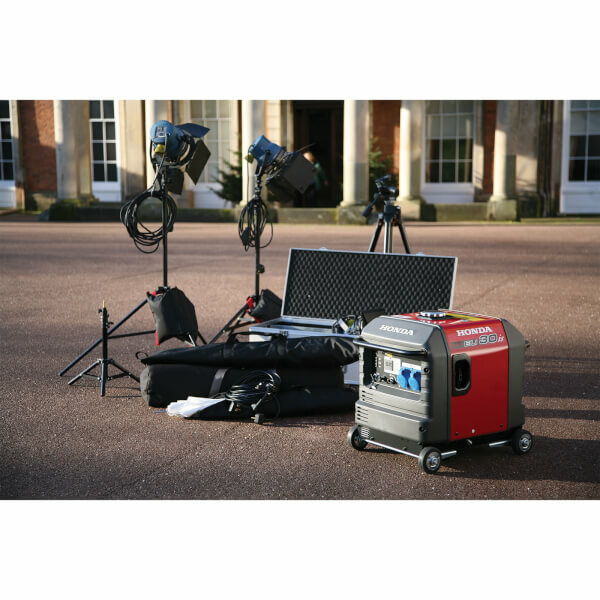 Due to their quiet nature you can use these generators anywhere. 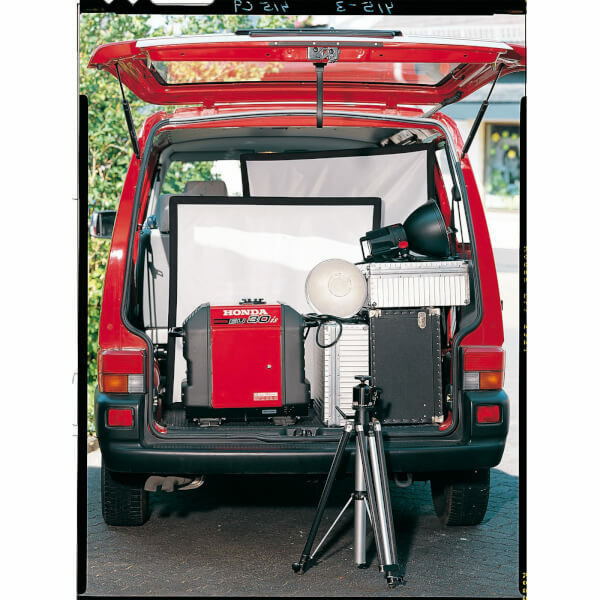 Ideal for caravanning and camping, they are able to provide clean, reliable electricity in the most extreme locations. We've built them out of light materials such as magnesium, so they're easy to transport meaning you don't need to waste your own energy carrying them. 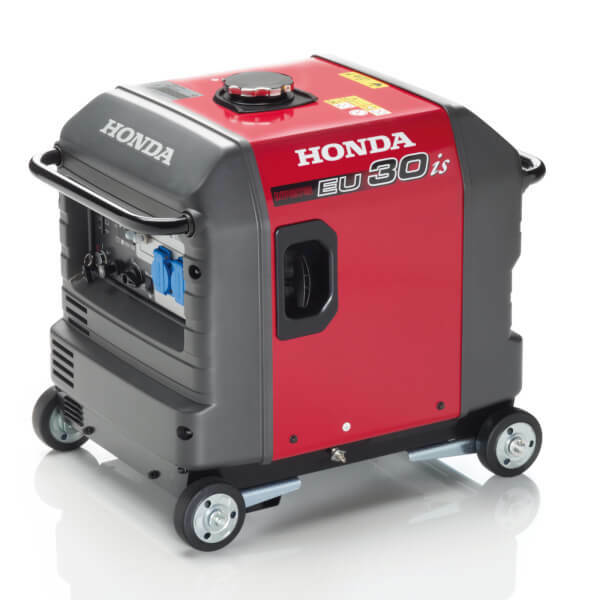 There’s nothing quite like a Honda Generator with its unique Inverter technology. This guarantees smooth, uninterrupted electricity wherever you may be, so you're safe to plug in your laptop, or any other sensitive electronic equipment and be confident it won’t get fried. Transport Wheels: Working on your own? 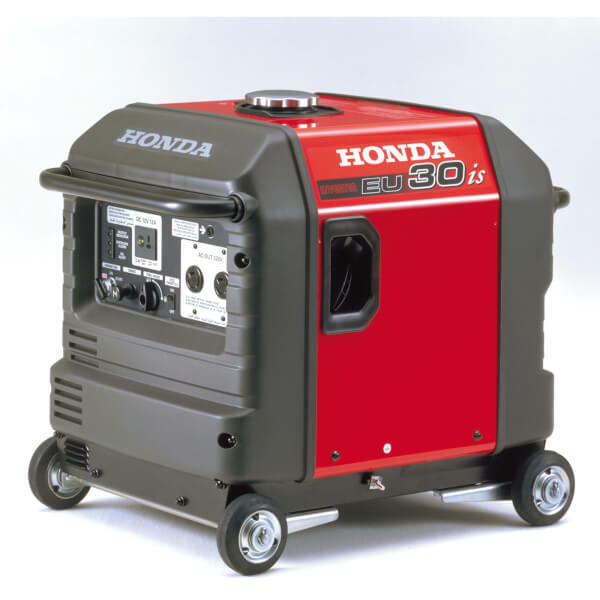 A generator can be a tricky thing to move around. That’s why we’ve added smooth and stable wheel attachments to allow one person to easily manoeuvre the unit. DC Output: DC Output gives you up to 12A for battery charging. (Please note, an optional cable is required). 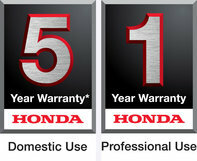 Eco Throttle: This is a smart Honda technology that automatically adjusts the engine speed to precisely match the load. This saves fuel, extends engine life and contributes to quieter operation. Low Noise: It’s so quiet you’ll hardly notice it’s there. 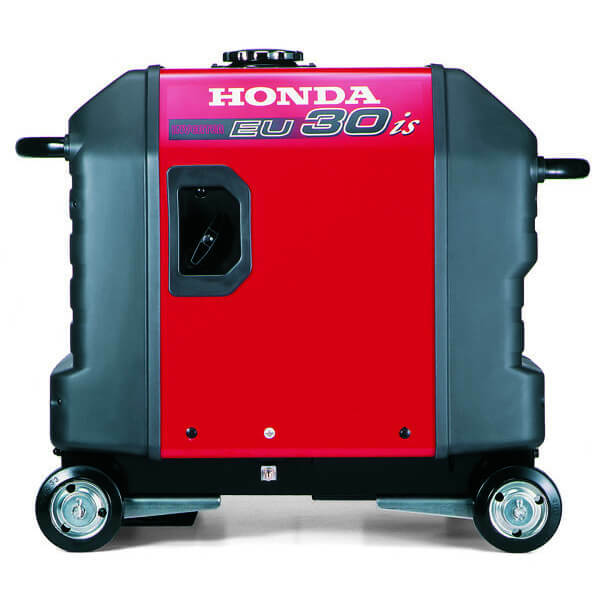 The noise-reducing muffler, casing and acoustic panelling greatly reduce the machine’s operational noise. 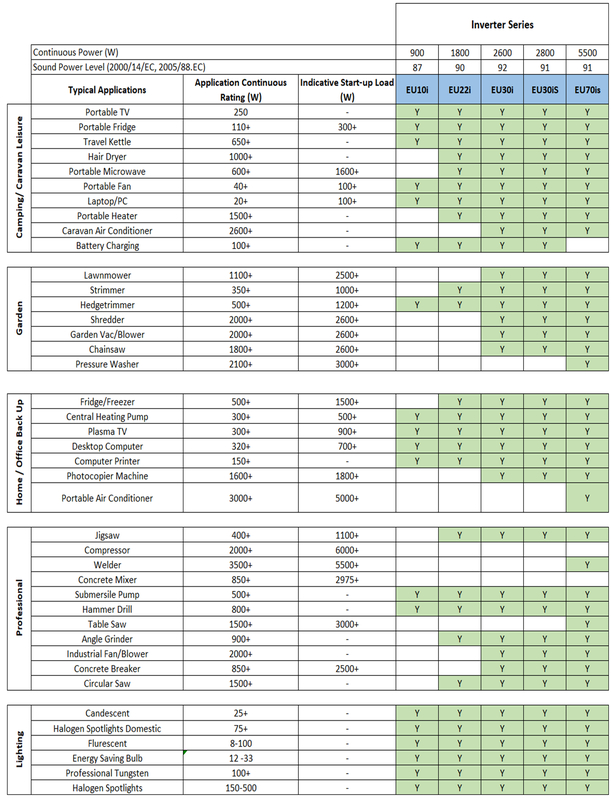 To help you determine which Honda generator is best suited to your requirements, please use the chart below for a reference guide to typical applications.